In navolging van de Marinierskapel, de Luchtmachtkapel, Fanfare “Bereden Wapens”, Fanfarekorps Nationale Reserve en het Orkest Koninklijke Marechaussee, spelen nu ook de trompettisten van Regimentsfanfare “Garde Grenadiers en Jagers” op Van Laar instrumenten. Op de foto van links naar rechts: Willem-Jan Visser, Jantina Rozema, Silva Soepboer, Stephen de Koning, Dennis Kuijten en Marcel Mooibroek, met hun gekozen bugels: model B2, BR2 en OIRAM Fresu. Trumpeters from all over the world value the workmanship that goes into every Van Laar instrument and their guaranteed superb quality and splendid tone is highly valued. 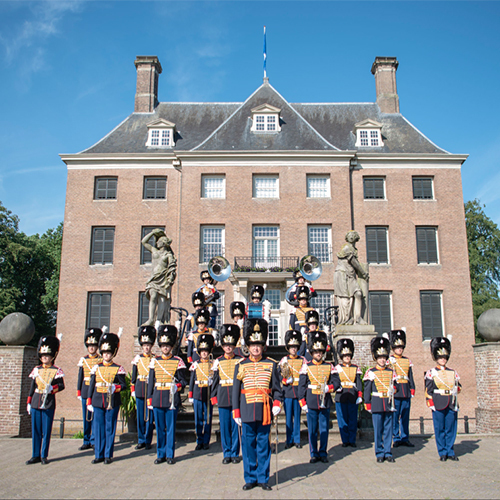 In the Netherlands, several military ensembles play Van Laar instruments, such as the Marine Band of the Royal Netherlands Navy, the Orchestra of the Royal Netherlands Air Force, the Military Bicycle Band of the Royal Dutch Army, the Fanfare Corps National Reserve and the Orchestra of the Royal Netherlands Marechaussee. 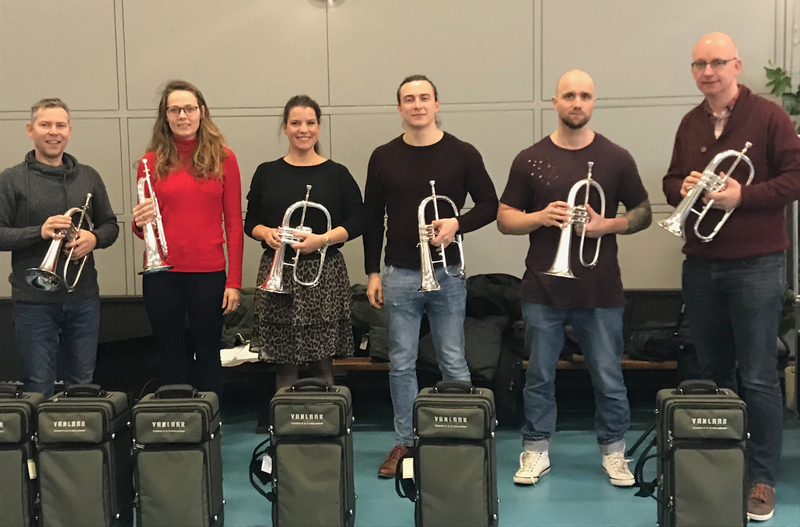 Now a further renowned Dutch trumpet corps – the Regimentalband Grenadiers and Rifles – has chosen to perform on Van Laar instruments. The photo shows the musicians with their flugelhorns: models B2, BR2 and OIRAM Fresu.